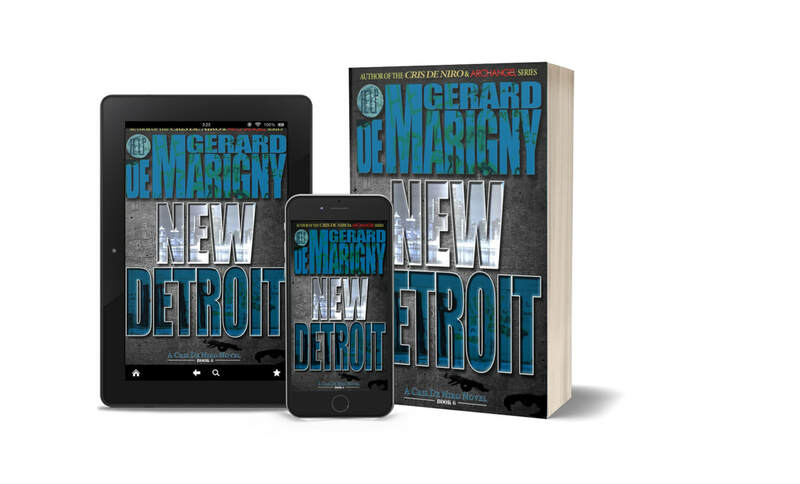 Kevin Matthews, brother of Karla, The Watchman Agency’s Vice President of Government Relations is presenting his dream, the hometown renovation plan titled, PROJECT: NEW DETROIT to Cris De Niro and others when a friend from his past burst into the VIP-only meeting. Antonio Brown, a former drug dealer who grew up with Kevin shocks everyone with gruesome photos of his son, murdered in a style favored by Islamic terrorists. Brown asks De Niro for justice. De Niro, together with Louis "Mugsy" Ricci, John “Johnnie-F” Francis, and Karla are joined by Kevin and Brown as they look into the crime. The investigation leads them to a terrorist plot that may be headed by the infamous White Widow, a British national-turned-Islamic extremist responsible for dozens of attacks and hundreds of murders. But, before they can act, the tables are turned on them. Time is running out for Cris De Niro and The Watchman Agency as they must save themselves before they can prevent an attack on America’s birthday.